Whether your hosting a ladies luncheon or a tea party bridal shower, help guests find their seat in style with our Kate Aspen Tea Time Vintage Plate Table Numbers! 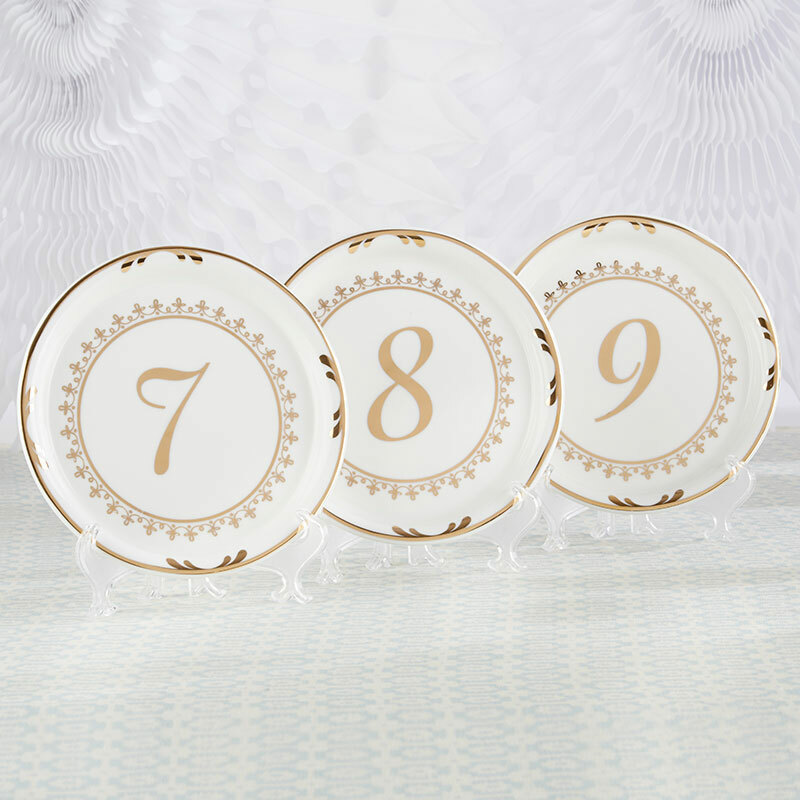 This white and gold antique-style table number set comes with six plates, all numbered to correspond with your seating with numbers 7 to 12. 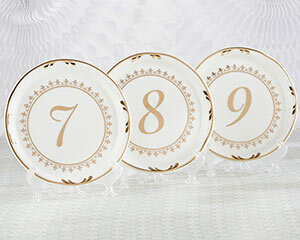 These tea plate table numbers will beautify your party tables and perfectly complement your theme.